From cutting-edge botanicals to advanced natural phytonutrients, all ingredients have been thoroughly tested for purity and efficacy. 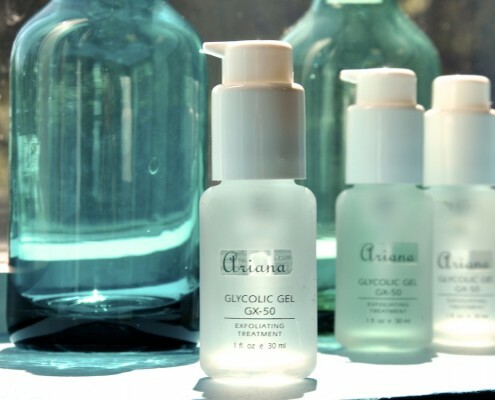 Environmentally conscientious, Ariana uses only pure ingredients taken from well-known sources. Ariana does not engage in or support animal testing. Combining century-old botanical usages with the very latest in skin care technology, we are on the cutting edge with innovative, and effective solutions to today’s skin care needs. Exceptional Group of products containing Vitamin C derivatives. Other quality ingredients: cold processed botanical extracts, marine extracts (Algae), and highly effective vitamins (A, B5, B6, C, D3, E, F, H, K) blended in pure aloe gel.